What if Punjab was in Pakistan ? Prabh108 replied to puzzled's topic in WHAT'S HAPPENING? milk is needed for making Prasad - I could write a whole lot on why veganism is demented -another time. why would anyone contemplate something so enslaving? THoughts are tangible things every bit as real as any object - meditate instead upon the liberation of moslem-occupied Aryavarta - Dharmic religions and Dharmic life cannot exist in presence of mohamadans. RamRajya-Khalsa Raj - this is the Future for the World. Xtianity is dying. islam is demented - only Dharmic philosophy (this includes Vedanta/Sikhi/teachings of Gautam Buddh make sense. All the sacrifices of the Early Gursikhs and the ones who valiantly fought the colonial bastards would have been for naught had all of Panjab been moslem occupied. Think, do ardas on how all of Panjab (indeed all the af-pak lands) are to be reunified under the Dharmic banner of Sikhi, Vedanta, yoga etc. Sanatan community is working on this thru Ghar Wapsi - they have led delusional Sikhs who became xtian back to the Dharmic fold and back to Sikhi - xtianity ruins charmic village life. We are born divine - we have spark of Paramatman within us - the idea that people are born sinners creates a vicious sin-repent-guilt cycle difficult to escape. Life in halal torture lands is hell for vegetaryans/vaishnu peoples. Guru ka Langar is pure vegetarian. anglo jew hijacked veg movement with veganism - Milk and Milk products are healthful - we need proper dharmic dairy facilities. The idea that any mass of land is thought to belong to anyone on basis of ethnicity/colour/creed is stupid - the idea that any state is black or white or brown or moslem or xtian or jew is nonsensical. One Uniform Civil Code of Law (rooted in Dharmic truths) must apply without any favouritism shown to anyone. Polygamy is dysgenic and enslaving, particularly the Islamic type. Demographic warfare in hopes of establishing international caliphate must be uprooted. Prabh108 replied to Big_Tera's topic in WHAT'S HAPPENING? Racial supremacists (of all stripes/colours) are ALIGNED politically with Moslem Global Caliphate aspirants. Especially the so-called 'white' supremacists/nationalists and highest echelons of Islamic theopolitical elites. Their aim is the creation of an Islamic imperium in the entire old-world landmass (eurabia where post-xtian whites become dhimmis - second-class citizens in their ancestral lands) and this will coincide with the anglostates (the five sisters - NZAUSUSACANUK) being 100 percent anglowhite. Latin/S. America to be ruled by white origin Hispanics who will continue to lord it over the indigenous browns of South America. India BhartVarsh Aryavarta moslems see as 'unfinished business' and will be part of the moslem caliphate where brownz in our ancestral lands will become slaves (again) - Guru Nanak started the work of kicking lowlyarabitch language out of Greater Historical India - these moslems desire to lord it over Bharat di Janata again - their eyes are on all of Kashmir and regaining all of Panjab, especially Fatehgarh region of Sirhand (head of India - sir is head and hand or hind is India). Now, why Brown people referred to as 'easter worshippers' instead of 'christians' - well 'Christian' has or used to have connotations with pious godly people whereas these Lankans are just converts - only slaves convert after all - there is a racial pecking order in desert creeds with albino uk white at top, then arab white, central Asian white etc. Myself I keep distance from converted hindu xtians or white xtians because they admit they are born sinners - I prefer good sangat not that of born sinners. Islam and the racialists wish to reenslave everyone. More slaves alive than ever before in history. This is mostly de facto slavery -w ith the racialists and islam teaming up, we'll be de jure slaves. What we have on our side is Ultimate Truth. Desert creeds are hollow - created by and for born sinners and slaves. Dharmic religions offer spiritual and material liberation and complete freedom. Dharmic ethics is sublime - desert creeds only have lists of what not to do. THese desert creed adherents are descendants of old time Raksh mlecch populations who were kicked out of INdia for failing to adhere to Vedic standards of morality. Sikhi is the pinnacle of Aryadharmic Thought. Redoptics replied to Redoptics's topic in WHAT'S HAPPENING? Not2Cool2Argue replied to puzzled's topic in WHAT'S HAPPENING? It would be terrible. How would we have fared in a military ruled state? Pakistans always have military coups where dictators rule for 10+ years. Plus we would fear suicide bombers. I think pakistan was listed as the country with most suicide bombings in public places. Also taliban stopped women from attending schools in the frontier areas. And we would live in a place where paan would be spit in the streets. Not2Cool2Argue replied to Redoptics's topic in WHAT'S HAPPENING? No savaiya and arril is in morning chaupai sahib too. The real reason is because of different maryada of taksal and akj. Taksal is abt tradition so they read how they were taught and their santhiya teachers were taught going back. Akj is all abt what makes sense. So they end at kharag pauri because the bani ends their and the savaiye and arril and the other 2 pauris are from different banis and not chronilogical order. The difference is called shoti and vaddi rehraas sahib. At akal takhat they read the shoti rehraas sahib and during sant jarnail singh times, when taksal took over akaal takhat, singhs tried to do full/vaddi rehraas but santji stopped them from enforcing their views. Also u can google it, theres been huge debates abt it in the past on this and akj forums. MisterrSingh replied to puzzled's topic in WHAT'S HAPPENING? We'd be at the mercy of the Pakistanis similar to how we're currently at the mercy of Hindustanis. There is no silver lining in either situation. Also, our fate would be dictated by the whims of the establishment of the ruling country and its majority faith. I'm sure, anecdotally, there'd be positives on a local level, but overall from a long term perspective there's no genuine prosperity on virtually every front that matters for Sikhs by being the meat in the Indian-Pakistani sandwich. Although, I suppose the comparatively conservative Pakistani culture might have inadvertently endowed our people with a certain degree of restraint and decorum, but again i'm sure there'd be downsides to this aspect of it, too. If you are from the uk. You should ask advice from married ppl like baljit singh of basics of sikhi. Or sikh_dad from instagram. Maybe also bhai sukha singh uk from london. Or get someone elderly to sit down with u and ur wife. And that person can mefiate between you two. You tell ur side and she says her side. Or u can even try calling ur wifes mom and telling her that she is being very rude and has ruined ur peace...keep doing ardaas and keep doing ur best. puzzled posted a topic in WHAT'S HAPPENING? dallysingh101 replied to Big_Tera's topic in WHAT'S HAPPENING? What confuses me is that the original attack on the mosque in NZ was done by someone who was clearly flying the white supremacist flag, but these people (if initial reports of this being a retaliation for the NZ attacks are true) - attacked a bunch of mainly brown Christians in response?!?!? I guess the truth Is that extremists of this type aren't too fussy about who they kill in retaliation. puzzled replied to Big_Tera's topic in WHAT'S HAPPENING? I know but what i said was, there is a lot of information gone astray because of those missing parts, example where Guru Ji says he does not believe in Ram﻿﻿, Rahim, Puranas, Quran , only Vaheguru. 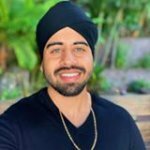 Is there any [articular reason you decided to get married in India, it's been discussed countless times on this forum, especially about the cultural differences with Punjabi's in India and those of use that are born and bred in other countries, did you try and find a wife from the same country that your from. The only way you'll find resolution is communication, at some point she'll have to hear what your saying, how you communicate is up to you, you will need her parent's to listen to you as well, if they don't listen directly then i'd suggest getting an older family member to do the talking, the last hing any parent wan't (especially in India) is their married daughter being dropped off back in the pind because the marriage did't work. If you want to take the route of making threats, telling her you'll cancel her visa, you'll get married again and god know's what else has been mention then that's up to you fella, in my experience things like that will tend to cause more harm than good. On a side note, i'd love to know how many people who give marital advice here are actually married and understand exactly how much hard work goes into a marriage to make it work, I've been married for over 16 years and we still argue, bicker and fight, it's human nature but we always find a resolution and more importantly know what our boundaries are, we've been through the "making threats" phase, it doesn't work, trust me. It's commendably that you take your laavan seriously, your right, for some people it is just done for show. Thank you veerji for posting this, I can honestly say I want no one man to go what I have gone in the last 3 years. I was very fortunate that I had very good hard working parents. You are incredibly right, I think this is the way to go. I appreciate your help, I honestly don't know who to turn to. chatanga1 replied to puzzled's topic in WHAT'S HAPPENING? Guru Arjan Dev ji accepted the oppressors deeds without resorting to the sword, but Guru HarGobind Sahib resorted to the sword to fight oppressors. The Jyot was one but the actions weren't. The answer has nothing to do with humility. Baba Deep Singh compiled one of his own as well. Banswalinama by Kesar Singh Chibber. Where's the extra 20 kg / 45 Ibs, pock-marked skin, and beady, soulless eyes?